People have really gotten creative with Star Wars themed everything over the past couple months. 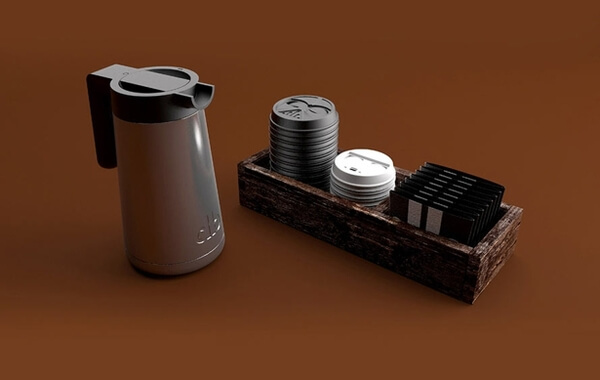 What really stands out amongst the fandom recently, are these coffee cups. They’re sleek and they’re cool, all the while allowing you to embrace your interest! 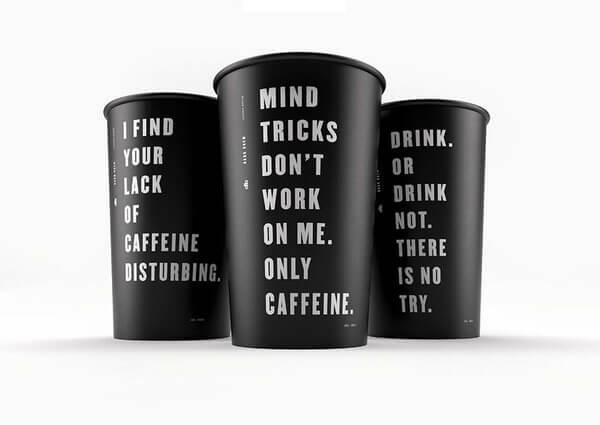 The masterminds behind these designs are Spencer Davis and Scott Schenone who created these cups for Dark Brew Coffee House. The two have an entire concept laid out beyond the cups, though. The designs are all black and white, simple and minimalistic. The cups have Star Wars themed puns and are very modern. 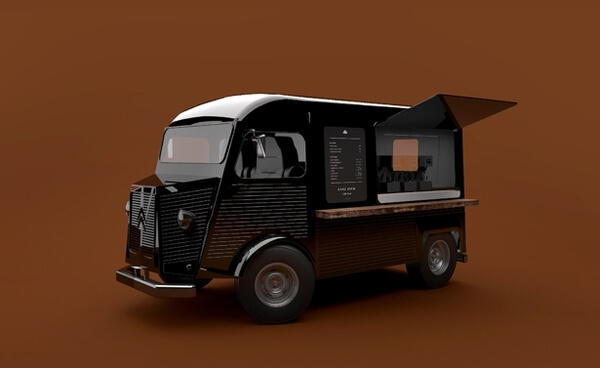 They’ve thought of a mobile coffee truck, to get your daily fix on the go. 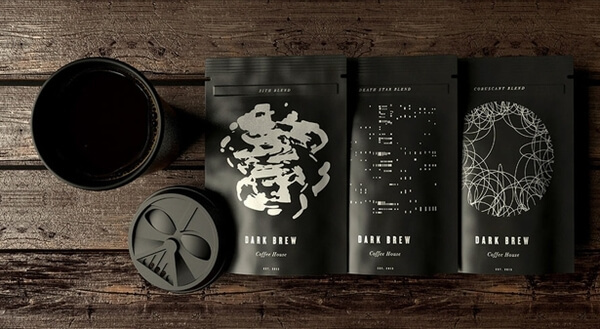 They’ve thought of naming their coffee blends after Star Wars, such as Sith Blend, Death Star Blend, etc. 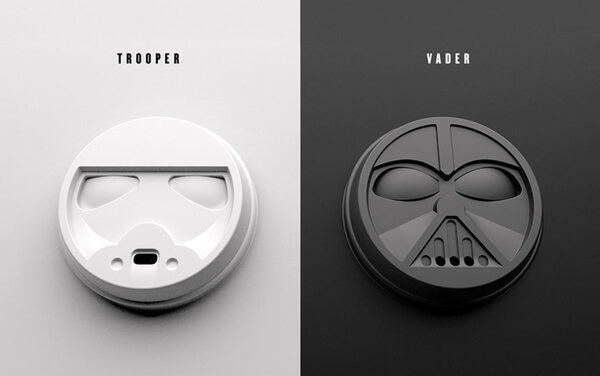 The lids are the top of an already great pyramid though – they’re designed, either white or black, to be a storm trooper or to be the dark lord himself – Darth Vader. 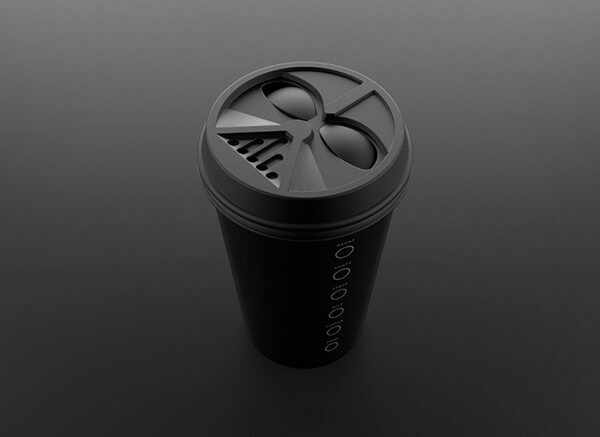 So, would you take a drink from the Dark Side?